On Thursday, July 21, the city council of Amsterdam decided that it will in no way adopt stricter local rules for its social assistance recipients, not even on paper. A large majority of the members supported a motion submitted by the chairman of the GreenLeft (GroenLinks), Rutger Groot Wassink. The motion called for Amsterdam’s alderman for Work, Income and Participation, Arjan Vliegenthart (Socialist Party), not to lay down regulations for forced compensation in a local statute (as described below) and to launch its own social assistance experiment in September. Only the VVD and the CDA voted against it. A conflict was born. The Participation Act, which was introduced in 2015, requires municipalities to force each social benefit recipient to make a useful contribution to society, in exchange for his or her social benefit payments. This is the very controversial so-called ‘compensation’ (Dutch: Tegenprestatie). The ‘compensation’ can be voluntary work, taking up a language training or giving informal care. Consequently, Amsterdam is heading to a confrontation with Klijnsma, who insists that the municipal authorities record their local rules on paper first in accordance with the law. Only then would Amsterdam be allowed to start with its social assistance experiment. Vliegenthart, who is not happy with the politicized debate with the PvdA state secretary, is nevertheless planning to implement the motion. He wants to present the design of his own experiment in September. According to the councillor, such an experiment exclusively for Amsterdam is legally possible: “I will make it legal as waterproof as possible.” The plan will be very similar to a research proposal that the city submitted earlier to Klijnsma and which was already approved. “According to scientific research, compulsion and coercion do not help,” says Vliegenthart, “We want to make it easier for our social benefit recipients to find a job, not to impose on them restrictive measures.” He wants to start a social assistance experiment whereby recipients, who have difficulties in getting paid work, are allowed to earn some money on top of their benefits. In this way, on Vliegenthart’s view, work would be not only a compensation for society’s ‘gift’ (i.e. the welfare payments), as Klijnsma views it, but a project that really yields something. The Council of State has already decided that the municipalities are free to include the compensation in the experiments or not. Vliegenthart also thinks so, after obtaining legal advice. “I suppose the state secretary is wrong,” he has said. However, she can still block Amsterdam’s experiment by legal means. Groningen (including the neighboring village of Ten Boer), Wageningen, Tilburg, Deventer and Nijmegen are the first municipalities which have been given permission to begin social assistance experiments. 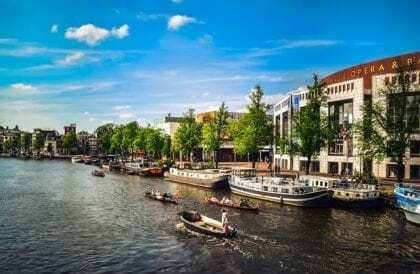 Since early July, another municipality, Apeldoorn, has also started a social assistance experiment directed at developing self-management skills and tailor-made solutions. The municipalities of Epe, Oss and Geldrop-Mierlo, relatively rural municipalities situated in the eastern and southern part of the Netherlands, have joined the project that is led by Apeldoorn. This experiment fits within the framework of the Participation Act. The research involves about 90 participants from Epe and 450 from Apeldoorn and receives scientific guidance from Tilburg University. The trial will run until July 2019. Under the Participation Act, up to 25 municipalities in the Netherlands may execute experiments, with each experiment lasting two years. Nationwide there is room for over 18.000 beneficiaries between the various projects. See also Kate McFarland in The Netherlands: Government authorizes social assistance experiments in first five municipalities. Credit Photo: Pixabay (Amsterdam, City Hall), tpsdave. Thanks to Kate McFarland for reviewing the article and for her enthusiasm.